We’ve all been there; dragging ourselves to compulsory training while mentally preparing for a few hours of drifting in and out of focus as somebody drones on at us from the front of the room. Unfortunately, that makes it even harder when we are the ones teaching new skills to a group of colleagues. Presenting to an audience is never easy, and when you know that you only have half of their attention, it’s even less so. If you’ve got a workshop coming up, read on for our top tips about how to keep it informative, interesting and memorable. It sounds too simple to be true, but you would be amazed at how much easier it is to run a workshop when you’ve planned it out. Start by deciding the key points you need trainees to take from the session, and how much detail you intend to go into. Write down specific goals, such as “learn to create a user profile”, “understand how to raise and close tickets” and “know where to go for help”, for example. Share your aims with your participants so they can understand the focus, purpose and structure of your training session. 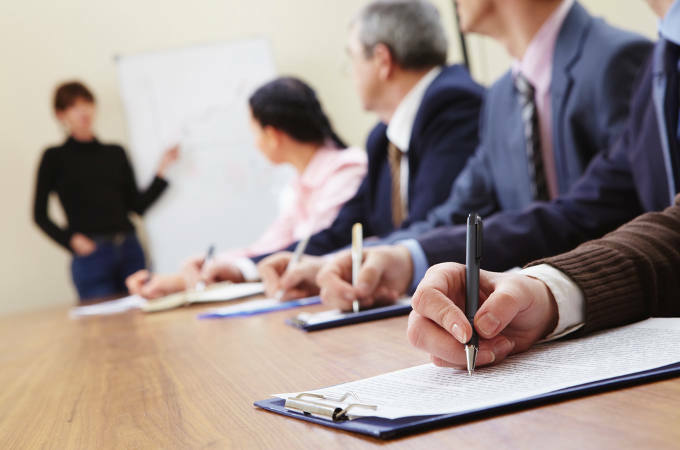 Too many training sessions involve a team sat around a boardroom table being talked at. Try a more interactive approach, like splitting people into pairs or small groups and getting them to come up with their own solutions to a problem. You could also use an audience response system to create short quizzes, or to interactively test your participants’ knowledge retention throughout. Use these as conversation points for group discussion, so the room can learn from each other, as much as from you. If you’ve designed your session to use paper, pens or any technology, check you have all the equipment and make sure you are familiar with it. Nothing will disrupt the flow of your training like a scramble for pens, or being unable to make the TV display your slides. Make sure you give your audience plenty of breaks; after all, nobody can focus properly on an empty stomach! If your session is set to last for longer than an hour, factor in time for comfort breaks and refreshments, and use this time to invite any questions about the content you’ve covered so far. Make sure to answer them once the whole group has reconvened, so everyone can benefit.